Because isn’t it about bloody time? AND: All one has to do is survey the (cough, cough) brilliant spate of films that (de)populated theaters this September and October. Was there ever a better endorsement for Netflix and the wasteland that is network television, than for Hollywood to simply roll over and rely on the fact that people will suffer anything to get out of the house? I mean, Halloween Yet Again?? I’m sure the realities of Hollywood are more convoluted than insider texts like Entourage and Wag the Dog and The Player reveal to us. And so there may be compelling reasons against it; some might claim Joss Whedon CAN’T legally (or emotionally, ethically, temporally, blah, blah) make a BTVS movie. But seriously, did we really need the eighth (or is it 9th?) Rocky sequel, when there are perfectly good–damn good–properties lying around, unexploited? That people are dying to see (see what I just did there?) In Hollywood, even in 2018, be sure of it: nothing dissolves legal obstacles like good, old-fashioned obscenely stacked numbers of zeroes on direct deposit readouts. –Joss Whedon must be attached. Change the entire cast, if you must–let those has-beens like Eliza Dushku and Sarah Michelle Gellar appear in cameos as alternate characters if they so choose–but Whedon is the soul of the Buffyverse. No one does a hero shot like him. Oh, and, I hear he knows how to write as well as direct. Go figure. –Casting is critical. Here, the budget-friendly move is the better move: use all unknown actors for likes of Buffy, Angel, Faith, Spike, and the Scoobies. But make sure they aren’t just pretty faces, a la the CW network. These characters, each in their own way, are more tough than good-looking: Buffy with her mixed sense of destiny, Xander with his stupid courage, Angel with his inner torment, Giles with his world-weary sagacity. –Epic-level plot. Cf. Serenity. Here’s my idea: take a page from Beowulf‘s second act (the descent into the lair of Grendel’s mother.) In the TV series, the baddies were always coming up out of a Hellmouth below Sunnydale. This time, our heroes must leave home and descend into the Hellmouth. Maybe someone (Willow) gets kidnapped, Persephone-style, and Angel goes down–typically alone–to the rescue. Except Buffy hears about it, and, knowing he can’t do it alone, goes after him. Scooby gang follows her, and viola, it’s a party. I’d love to see Anthony Stewart Head appear in surprise-reveal as the Head Demon /Big Bad. Push the envelope. Hollywood has a way of playing it safe, homogenizing and pasteurizing anything non-vanilla. If you recall the Entourage movie. . .ah, wait, YOU DON’T?? Exactly my point. The script had very little of the edge and risk of the series. It had cameos, it had sets, locations, ad infinitum. But it was clearly a phoned-in cash-in. We Whedonites deserve the opposite. What made our beloved shows so great? Allegory: High school as Hell, young people as freaks, adults as monsters, power as addiction, the healing power of friendship. Mythology revisited: women as defenders and predators and not prey, the vampire with a soul, friendly ghosts. Humor: sexual awkwardness, Spike, puns, Halloween as a day off for bad-guys. –Merge Galaxies in the ‘Verse. Barring the comic-book extensions, we last saw Angel’s crew facing off against the uber-minions of Wolfram & Hart. It would be compelling to see the likes of Gunn and possibly even Wesley join the fun. Maybe split the San Andreas fault from Los Angeles to Sunnydale as the Hellmouth opens wide. . .
-And speaking of verses, How about a Production Number for the After-credits scene? Hey, if you are a Buffy fan, you know why. There’s no point catering to the general public on this–by the end, everyone will be a fan. And guess what? Might just wanna release the original series on Blu-ray. . .yeah. . .in fact, that will pay for the whole deal, Suits, and you know it. So. . .
–Spend the Money!! It needs a respectable budget. We dig special effects aplenty, sure. But the creative people have to be paid what they’re worth, and they need to be good. There’s no way this film won’t make it back–hell, half the people in the world will go to see it. -Release it in early October. There’s nothing to stand against it. It will kill. As I hike my morning away, in the woods. He’s reached the very end, the very last bite of the very last leaf. It’s taken his entire cycle to munch out to here. Not so long, after all, but for him a lot of work. And other branches, but it’s a mighty crawl, back to the trunk. He could roll off, to the ground. . .
What will happen, in that direction, life on the ground. Of course, the way back to the trunk is safer, more predictable. Sure leaves grow there. But who knows what bird may land there, as well? So he waits, on the tip of that long, thin sliver of wood: ruminating, wondering, deciding, waving in the breeze. The wind picks up; and I feel a big splat of rain on my neck. I have a friend–a real poet–who is writing perhaps a poem per day, this month, National Poetry Writing Month. I lack her workman-like ethic–or perhaps simply her skill, which improves all the time, not coincidentally, because she works. True artists of any stripe don’t always produce great work, and the reasons are simple. They don’t hoard their productivity, the way most of us do. It flows out of their minds and mouths and fingertips, into the world, to be judged, ignored, discarded, or praised. Look at the ouevre of any great artist–from Milton to The Beatles and Stephen King–and you will find a lot is not great, that is not even very good. Because they experiment. They take chances. They don’t hold back. And the great stuff flows out of that same, brave place. There are so many definitions of poetry, but the one that sticks with me is the romantic one, coined by Wordsworth over two centuries ago: a spontaneous overflow of emotions. . .recollected in tranquility. It doesn’t mean someone in the poem is crying or shouting angrily, or even that the poet had other than serene feelings, at the time. It means, simply, an experience that is meaningful, among all other experiences, like a yellow flower amidst a vast green field. An experience worth crafting, by experimentation with language, so that it can be shared with others. True artists, in any form, are the most generous of people. They surrender their vulnerabilities. Over and over. I am not such a one. One month; one poem. It’s all I got. I write my poetry, for good and ill, in private places: small classrooms, garages, in the woods, carving it on trees no one will decode. That’s most of us. Here’s to the unprotected souls, the poets–it’s their time to sing. It might have all seemed like an impressionist painting. My buddy had come with me; a come-with guy when an experience was new. I was ready to get out of my factory job, go back to school; but he would stay. and most of the professors and students had flown. It was late May, anyway. The pair of us crossed her path by chance, converging to cross the green expanse. I hadn’t yet been to college, but I’m not stupid. The rain was nothing to me. Once, in Korea, I spent a night in a hole full of monsoon rainwater, on a hillside. so that my first girlfriend could dump me, in person. And the umbrella wasn’t big enough, so that we scrunched the poor girl in on either side. She smiled and we chatted for as long as it lasted, only a walk of a hundred yards. to swing back around, for coffee. You don’t always know what to say, or do, at the time. No pamphlets, guided tours, statistics, or Barron’s guides could have shown the way clearer. Thirty years later, I have no memory whatsoever of the prior month, or the following month. Can’t recollect her smell, or the color of her hair, or what anybody said. The gym has since burned down and been replaced, that quad of green grass paved over. Most of the faculty I knew are gone, and the football field has grown a ten-foot perimeter fence. their grandchildren will arrive. Not long ago, in the grand scheme, but a full third in the life of a man. to protect her from strange boys. No one to tell her what the right thing to do was. Just the invulnerability of her open heart. paved themselves over with concrete, and put up high, iron fences. Because frigid damp, exposure under the wet sky, the unsureness about the right thing, are not nothing to me. 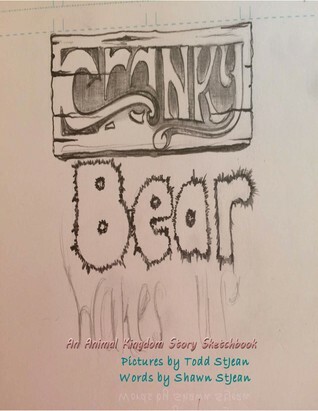 Previously published in December in softcover, this “Story-sketchbook” by Todd StJean and Shawn StJean is now available at $16.99 list through the online bookstores, both in the US and abroad, printed by Nook Press and LightningSource. Nook Press (Barnes & Noble) has recently updraded its services for indie authors, and has added several new formatting and packaging options. For those seeking an alternative to Amazon’s Createspace POD platform, they are certainly worth a look!